Okay, here's the deal - if you creased your forehead and squinted your eyes at the title of this post, I'm with you. It was my exact reaction upon going behind the scenes and came across this as one of the things that two persons had searched through my blog looking for answers to this week. My gut instinct told me to take a stroll back down memory lane to last November 2012 and sure enough there was this article, Reclaim Your Identity And Regain Your Destiny . But still it left me wondering to myself, 'did I really meet their expectations by the suggestions that were offered back then in that article?' Hopefully, I did. Nevertheless, I am leaning towards empathy and though to expound on the subject and even provide a different perspective. If the truth be told about us, all of us at some point in our lives have been imprisoned - if not physically, and I hope it's not the case for you, then spiritually. It is a matter of having done wrong. You are tried in a court of law, with your peers as your jurors, and if found guilty, the judge hands down his sentence and you are incarcerated. That's the physical. On the other hand, spiritually, sin in our lives through breaking God's commands/laws brings with it an immediate death sentence. When you've done wrong, no matter how small the deed was, guilt is the first thing that often steps in. It has a tendency to make you feel worthless, and like a failure. You feel knocked down, almost as if life has snuffed it's breath out of you. You go through varying emotions and if not contained or if the negative emotions continue to go unchecked you end up in a state of total self condemnation, people condemnation and even worse than that, you can end up going through a state of depression and even isolating yourself from others. Being released from a physical jail or your spiritual prison, can be an even bigger challenge as people, while they may forgive are not that easy to forget. But here is what I say to you, the blood of JESUS is all powerful enough to wipe away CLEAN every spot and every stain from your record. He throws your sins through His forgiveness and pardon into the deep sea and He remembers them no more! He says as far as the east is from the west, that's how far He has removed your transgressions. You got to hold your head up high and go on with your life regardless of what people may say or try to do. 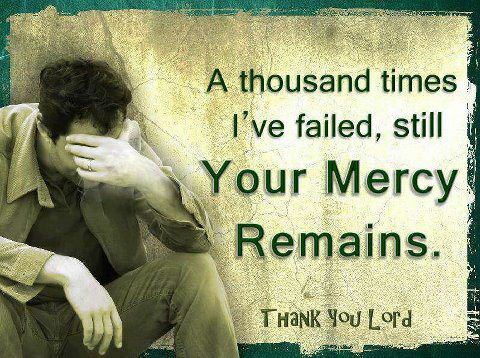 God is merciful and just to forgive you of all sins and to cleanse you by His blood from all unrighteousness. Q: How To Regain Your Identity? Establish/re-establish and affirm your relationship with God. He is the only source of your identity. There is no other way to gain it back but through Him. Accept and love the you that God created you to be. You are special, fearfully and wonderfully made. Knowing your purpose and why you were created on this earth is key to your future. Develop a Christ-like mind set through faith in God and constantly reading His word. Get wisdom - Godly wisdom that is, and make her your friend. Surround yourself with positive thinkers - people who support you and who would hold you accountable for your future actions/behavior. While your faith in God is necessary to guide you, having fellowship with the right people will help to guard you. Get yourself organized by creating processes and checklist. Track and measure your progress and constantly remind yourself of deadlines. Create and seek balance in your life. Balance is necessary as it eliminates chaos and confusion. Value virtue and hold dear, things that are true, noble, authentic, and praise worthy. Find inner peace and strength in God's presence and through His word. Reward yourself each time you stick with it and you meet your deadlines etc and your goal is achieve.